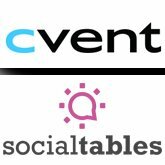 Cvent, a meetings and events technology company, has acquired Social Tables, a diagramming, seating and collaboration platform. The acquisition was made, according to an announcement, to help event planners and venues better collaborate to deliver successful events. Founded in 2011 in Washington, D.C., Social Tables claims to have the world's largest database of to-scale function space, with 4 billion square feet available through its search engine. Through its collaboration engine, planners and venues use Social Tables’ Event Services Solution to diagram events, create seating charts, and share files. One in three full-service hotels in North America uses Social Tables to work with planners to deliver 100,000 meetings and events each month, according to the company. Cvent said the acquisition would: improve collaboration between venues and planners, provide a more visual and interactive venue sourcing experience and increase group sales for venues.